I find that muffins are a great way to enjoy the changing seasons. In the winter and spring, pears, citrus and maple syrup are the ideal seasonal ingredients. In the summer, you can stuff all the fresh berries you can find into a muffin for that perfect summer breakfast treat. In the fall, well, we all know what the fall brings; pumpkin spice everything, and apples. But, I feel that one seasonal ingredient gets forgotten or pushed to the side- cranberries! Cranberries start showing up in the stores in the early fall and continue until about christmas, I think. But, as soon as there is a chill in the air, the pumpkin spice craze begins and everything else is forgotten. I like pumpkin, but probably not as much as everyone else. I'm all about the apples. And cranberries are growing on me more and more every year. 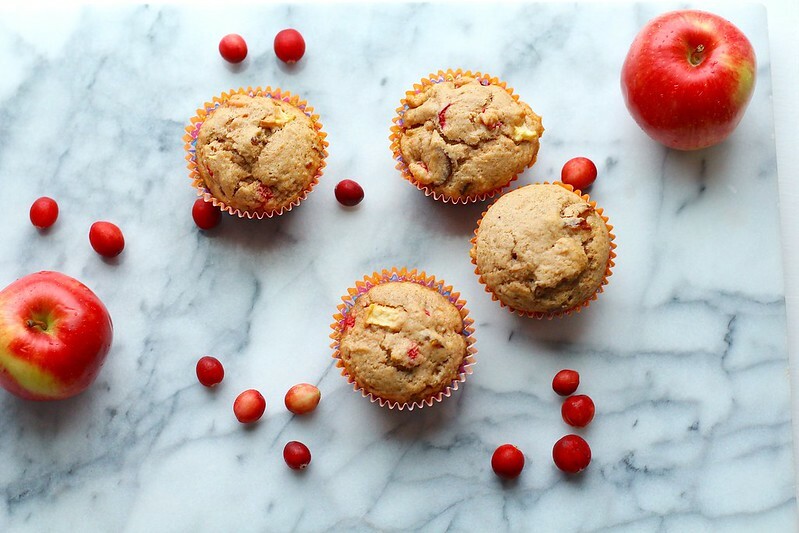 These muffins hit all the fall seasonings. 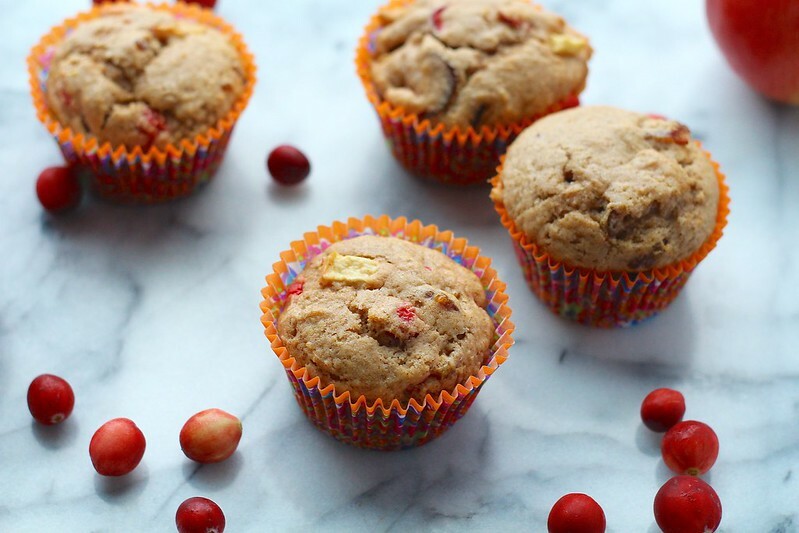 You've got your apples, cranberries, and cinnamon all packed into one little muffin. I love the contrast of the tart berries against the sweet apples. These are the ideal fall muffin, in my opinion. Unfortunately, the rest of my family doesn't share my love of cranberries. But maybe that is fortunate, because that means more muffins for me! You can also, as always, freeze these muffins if you don't want to make a big batch. Then, you'll always have a taste of fall just a moment away. Preheat the oven to 375ºF. Line a muffin tin with paper liners. In a large mixing bowl whisk together the flour, baking powder, baking soda, salt, cinnamon, ginger, cloves, brown sugar and granulated sugar. Stir in the milk, egg and melted butter just until combined and no flour streaks remain. Fold in the cranberries, apples, and figs. Divide the batter evenly between the paper liners. Bake for 20-25 minutes, until browned on the top and a toothpick inserted in the center comes out clean. Let cool in the pan about 5 minutes, then transfer to a wire rack to cool completely.